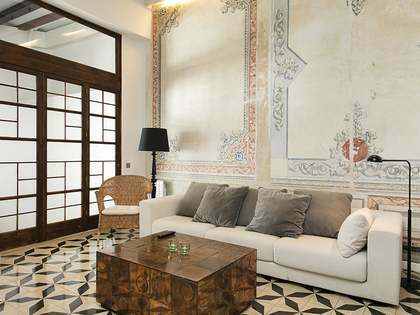 Brand new apartment with designer interiors, quality furniture and a communal rooftop terrace, for rent in Barcelona's Gòtic neighbourhood. 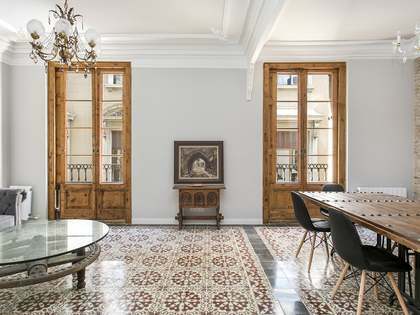 This designer 2-bedroom apartment is for rent in a beautiful historic building in Barcelona's Gòtic neighbourhood, just a short walk from Port Vell, the recently refurbished luxury marina, and the beaches of Barceloneta. The apartment has been fully renovated and is presented in brand-new condition. 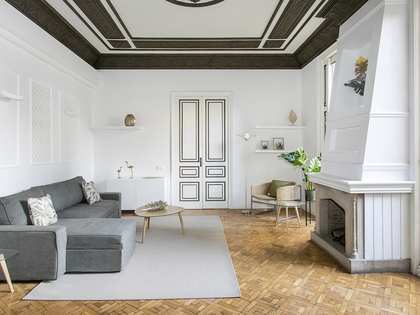 Measuring 100 m², the spacious apartment boasts high ceilings with wooden beams, charming restored historic features and pretty views from its balconies. The layout consists of an open plan living, dining and kitchen space with 2 balconies and 2 excellent double bedrooms with en-suite bathrooms. Residents have access to the fantastic communal rooftop terrace, perfect for enjoying the excellent climate. 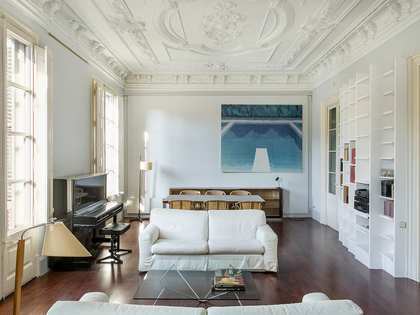 The apartment has been beautifully designed to successfully combine new technology and historical charm. Furnished with brand new, top-quality furniture, this is an excellent option for those seeking an elegant home to rent in an fantastic central location. 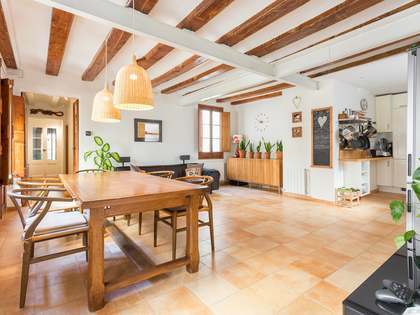 Property located in the Gòtic neighbourhood of Barcelona Old Town. 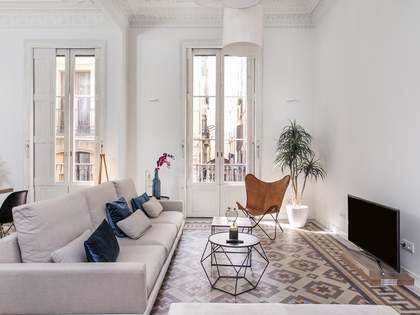 It is conveniently situated between the famous Ramblas and Via Laietana, with Barcelona Cathedral behind it and the city port in front. With the chic independent boutiques of the Born neighbourhood and the glamorous OneOcean Club, Maremagnum shopping centre and a multitude of museums, galleries and eateries all on the doorstep, this property makes an unbeatable base from which to enjoy all that this unique Mediterranean city has to offer.